If the Federal law banning sales of assault weapons had not expire in 2004, the blood shed between Mexican cartels over the past several years might not have risen so dramatically. Such assault weapons cannot be bought legally in Mexico. Thus, the cartels rely on gun traffickers to supply them with high power guns such as M-16s and AR-15s that are bought in the States, particularly in Texas. Since President Calderon began a military offensive aimed at topping cartels, 40,000 lives have been claimed and about 90% of guns submitted for tracing by Mexican authorities that were used in the killings are from the US. These guns aren’t being used as ‘modern sports rifles’ – a name Firearms industry trade groups like to use when labeling rifles such as AK-47s. So how are Texas Firearms laws help contributing to this chaos more so than other states? In California for instance, there is a low total to strict state firearms laws that severely limit sales of military style weaponry. In other words, you cannot go into a gun shop and purchase 20 AK-47s at a time like you can in a Houston gun shop. That’s right. You can walk into a gun shop in Texas and purchase 5, 10, 20 .223 caliber AR-15s at a time in cash. Who the hell needs 5 M-16 like guns much less one? 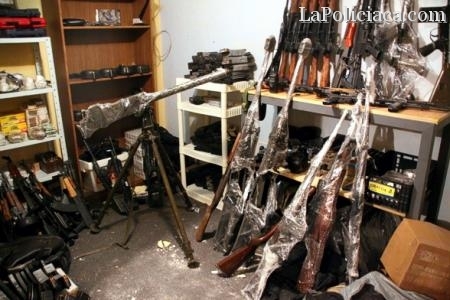 After purchase, Texas gun brokers make a deal with gun traffickers who sell the guns to cartels at 3-4 times the price. Gun advocates insists that the laws are sufficient to control such trafficking – a hell of a statement given that bloodshed, decapitated heads, and innocent killings are now part of the daily life in Mexico. Original story ‘Drug Gangs Match Police Power’, Houston Chronicle, Sunday, May 29, 2011, A18. James, that has to be one of the dumbest decisions (Fast and Furious) ever made by the ATF and other organizations that were involved.